This month's technique is called Floating Re-Inker Technique! Wait until you see the Totally Techniques Design Team in action this week --- Ah-MAZING!!!!! WOW! I'm sticking with the Neutrals this week (the Butterfly Basics card yesterday), inspired by a Color Challenge a few weeks ago...and stay tuned... another Technique Challenge tomorrow!!! and a bit of Timeless Elegance! 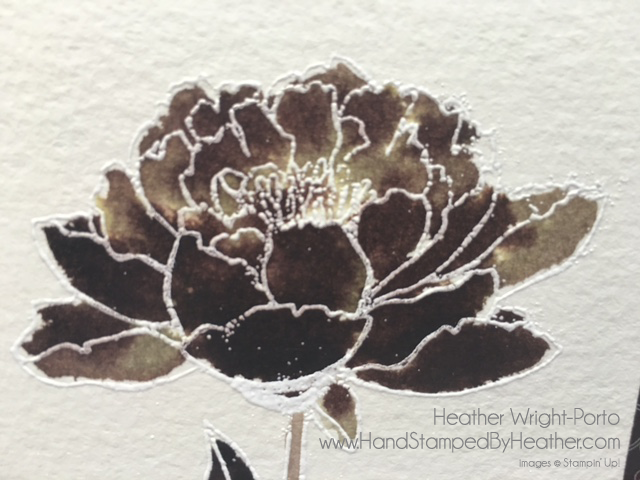 This was my very FIRST time attempting this technique as I'm intimidated by the Aqua Painter LOL - but I was so excited :D I watched Sandi MacIver's video on it inside Stamping and Blogging, and look what came out of it! I'm loving this technique....finally a technique where I won't be afraid to use my Aqua Painter!!!! I made sure to get my embossing buddy and use it on the Watercolor Paper. Then inked the stamp with Versa Mark. 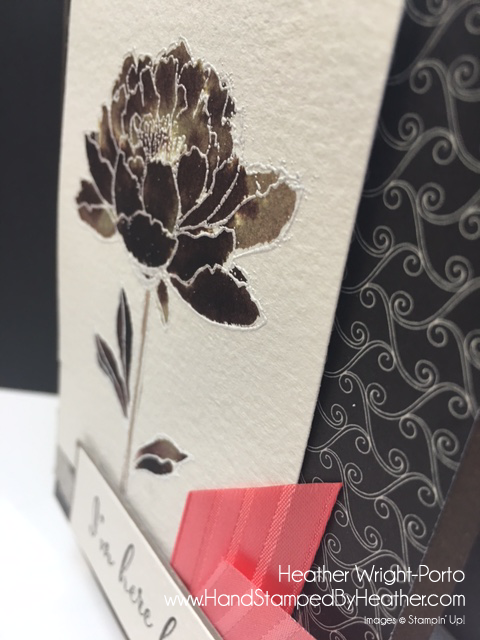 Covered with White Embossing powder. Shake off excess powder. Then prep for the class, getting your re-inker wells ready. I actually used little medicine measuring cups lol I have young kids so every time I buy them Children's Advil (liquid) I get a new measuring cup lol. GREAT for this type of project. Dilute the ink a little w/ 2 -3 drops of water. Since I wasn't going to cut out this image, I had to be careful not to extend past the embossed lines...so I couldn't use a spritzer to wet the entire piece of paper. Instead, I got it wet using my Aqua Painter (but not to create water wells). Then, while the flower was wet, and grabbing ink from the Sahara Sand ink well, I dropped it onto the flower and watched it bleed to cover the petals. Then did the same with Chocolate Ship. Filled in any blank/white space with the aqua painter (Sahara Sand). I didn't have excess water (since I didn't use a spritzer) and it was drying fast....so I just ended up heating it when the flower was done. Then repeated the same technique to finish the leaves. To complete the card, I cut a piece of Timeless Elegance Designer Series Paper (DSP) and adhered to the card base. Wrapped a piece of Sahara Sand around the bottom (no knot). Mount the focal panel with Stampin' Dimensionals. Stamp greeting in Basic Black. Mat the greeting with Sahara Sand paper and adhere to front panel with Stampin' Dimensionals. Lastly, add a splash of color by tucking a piece of the Watermelon Wonder Satin Stitched Ribbon. Do you believe I didn't use Rhinestones!!!!! LOL. 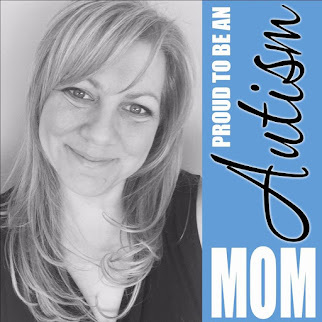 Heather Wright-Porto --- You are here. Thanks for visiting me! Want videos on this beautiful technique? 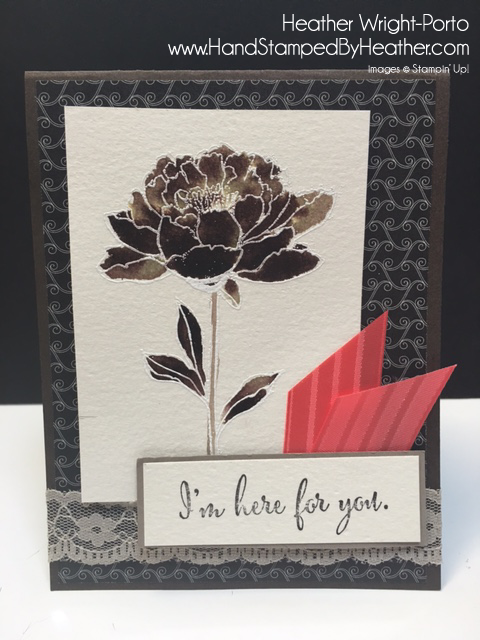 Sandi created an entire class with full PDF stamping tutorials and videos inside Stamping and Blogging - March 2016 Card class! The latest class, our 40th card class, is Watercolor Smooshing! Another fun water coloring technique :D Love the colors Sandi used too....and the additional other techniques like Resist! Heather this card is so striking! I love your colouring and the flower is perfect for the colour scheme. Wow! WOW - I'm gobsmacked. I would never have thought to use these colours but it's absolutely stunning! Love it. 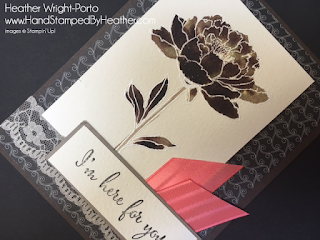 Wowza my friend, your card is stunning, would not have thought to use that colour combination but it works so well, love it. So beautiful Heather. I would never have thought to do Chocolate Chip. Wow! I love this! Stunning card Heather ! Love it !